Comecer will be present at the CPhI Istanbul 2017, at the stand #9A120. For the fourth consecutive year, Istanbul will host the most important pharma gathering in the region for you to meet suppliers, as well as to build new partnerships and gather insight on the market. 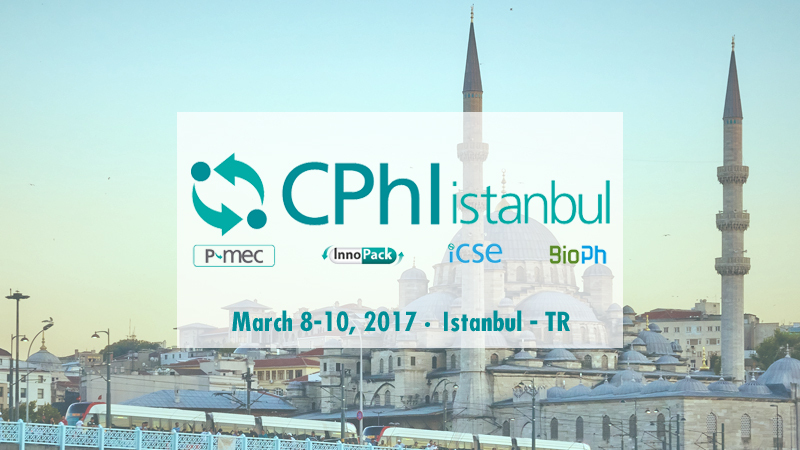 CPhI Istanbul will be held at Istanbul Expo Center (IFM), Istanbul – Turkey. CPhI Istanbul brings together local Turkish and regional drug manufacturers with global suppliers of raw materials, machinery, packaging solutions and contract services. The event attracts more than 4,000 attendees from the region looking for suppliers and manufacturing partners to bring cost-competitive pharmaceuticals to their individual markets.